Duke Forge, a transdisciplinary group including clinical leadership, quantitative expertise, operational management, and collaborator advisory, sponsored the Improving the Machine Learning Pipeline at Duke team. The team developed a tool to operationalize the application of distributed computing methodologies in the analysis of electronic medical records (EMR) at Duke. As a case study, they applied these systems to a Natural Language Processing project on clinical narratives about growth failure in premature babies. The team presented their work at the Forge’s Neonatal Intensive Care Unit (NICU) prediction stakeholder collective meeting on July 31, 2018. The presentation was very well received and prompted a lively discussion about how this data could be used to predict growth failure and other health markers in babies. Data+ looks forward to working with Duke Forge more in the future! 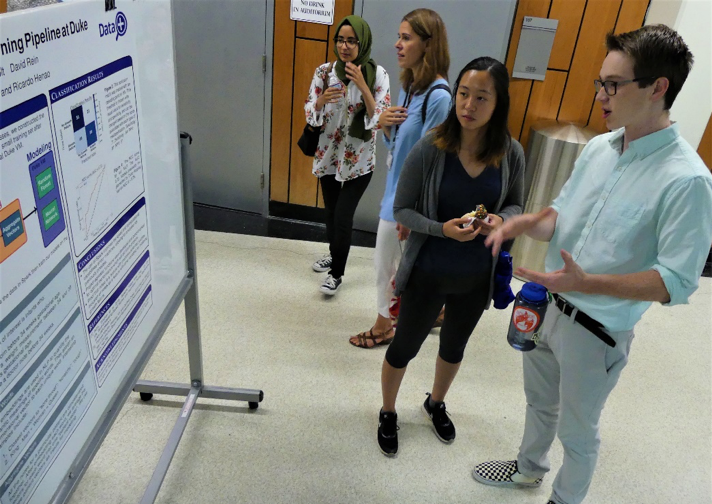 Sean Holt of the Improving the Machine Learning Pipeline at Duke team explains his team's work at the 2018 Data+ poster session in Gross Hall on August 3, 2018. 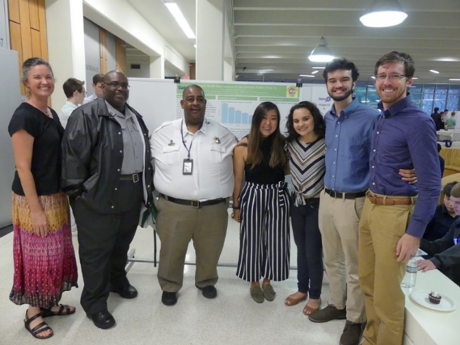 At the last Durham Crisis Intervention Team’s (CIT) Collaborative meeting in August 2018, CIT decided they were so happy with the Data+ Mental Health Interventions project teams’ two years of data analysis that they will be naming the Duke Data + program their “Community Partner Agency of the Year” at this year’s end-of-year celebration banquet on December 7, 2018. “Evaluation and Research is a Sustaining Core Element of Crisis Intervention Team. We are very fortunate to be in a position to collaborate with Duke’s Data+ Program. The TEAM has done a phenomenal job with evaluation data from 2002 to 2017. We are looking forward to this continued relationship,” says Major Elijah Bazemore of the Durham Sheriff’s Department and Crisis Intervention Team. 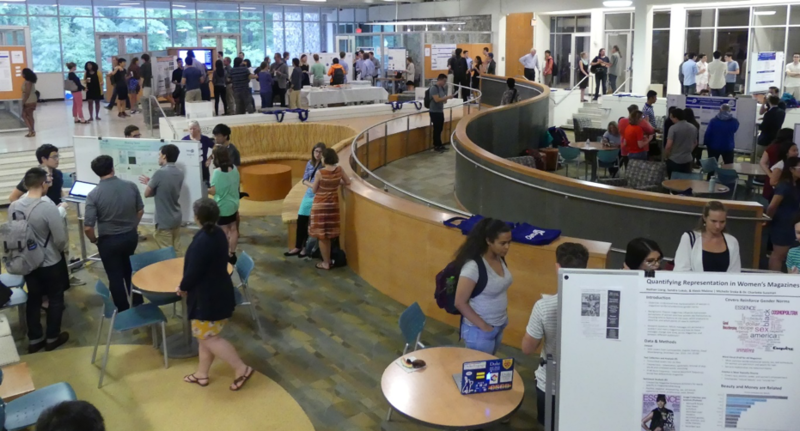 Four Data+ project teams are continuing as Bass Connections projects during the upcoming 2018 – 2019 academic year: Gerrymandering and the Extent of Democracy in America, Vaccine Hesitancy & Uptake, Big Data for Reproductive Health, and Data & Technology for Fact-Checking. These Data+ teams laid important groundwork for the incoming team members joining this Fall, and will continue to work on these team projects over the next year. The Big Data for Reproductive Health (BD4RH) team, led by Amy Finnegan and Megan Huchko, sought to build a web-based application that will allow users to visualize and analyze contraceptive calendar data from the DHS. To ground their project, they did a mapping exercise to identify currently available tools, identifying core elements they liked and key areas a new tool could improve. Using this data, and user feedback from various stakeholders in the field, they created a website that hosts four different data visualization methods to interpret trends in contraceptive use from the DHS contraceptive calendar. The site currently uses Kenya data to demonstrate efficacy, but datasets will be added soon. Although Wei had worked on coding projects in the past, Sao came into the summer with very little coding experience. She enjoyed learning how to work with R, and both students look forward to continuing the project through their Bass Connections team this Fall. The Bass team will continue to improve the website, gain a deeper understanding of machine learning and big data analytics, and engage with key stakeholders to ensure maximal usability for the tool. The Gerrymandering team has already had some major successes this year in seeing their work applied to the Common Cause vs. Rucho federal court case in North Carolina, where a three-panel judge ruled again on August 27, 2018 that North Carolina had been unconstitutionally gerrymandered when districts in North Carolina were redrawn. 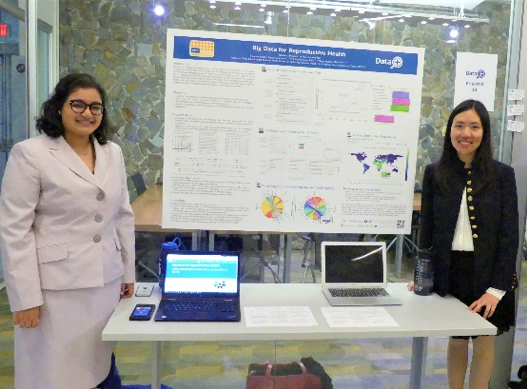 Saumya Sao and Melanie Lai Wai present their Data+ project poster, Big Data for Reproductive Health, which will continue as a Bass Connections project this academic year. iiD is now accepting project proposals for the Summer of 2019! We are especially interested in proposals that involve a partner from outside the academy, or a faculty member from a different discipline. We also encourage proposals that involve previously untested ideas or un-analyzed datasets, and we hope that the Data+ team can make a contribution with important proof-of-principle work that may lead to more substantial faculty work and/or connections in the future. We also welcome proposals that will lead to the undergraduates creating tools that might be used in the classroom or that might facilitate community engagement with data and data-driven questions. For more information or to discuss a potential proposal, please contact Paul Bendich (bendich@math.duke.edu).